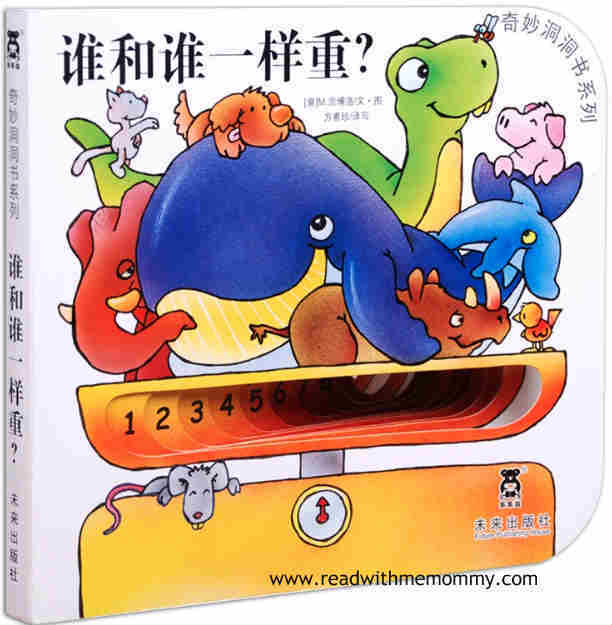 Who Weighs The Same?, an Italian original, is a board book with beautiful illustration that comes with simplified Chinese and accompanying hanyu pinyin. The book starts off with - what is the heaviest creature on Earth? It's the huge dinosaur! Next, who weighs the same? ... Answer : Two whales. Next, who weighs the same as whale? Answer : Three elephants. 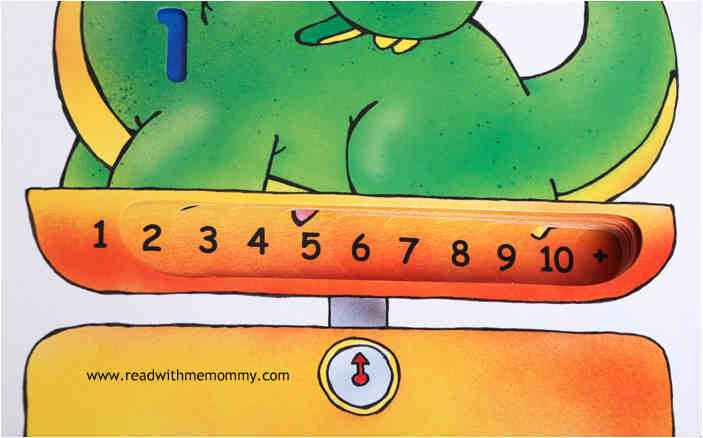 In this book, your kid will be introduced to dinosaur, whale, elephant, rhinocero, pig, dolphin, dog, etc, in descending order of weight, as well as number 1 to 10. Parents can also use this book to teach the kid about comparison.